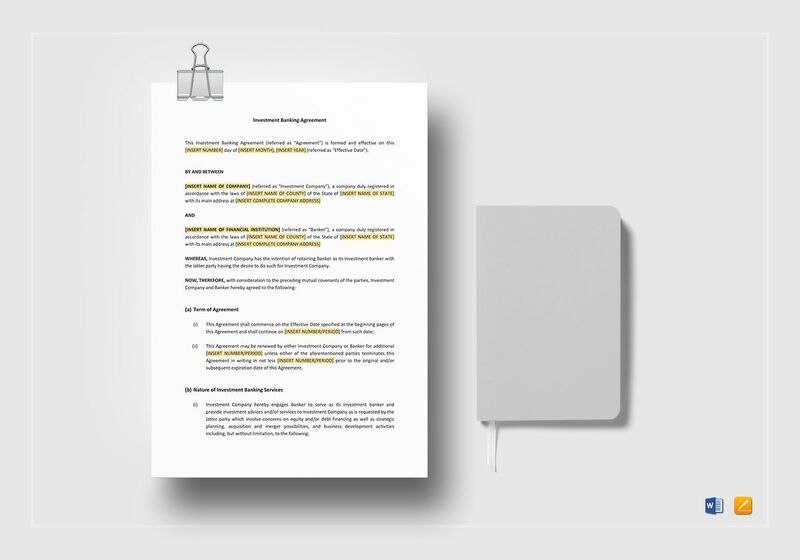 Present a clear and concise investment agreement using this Investment Banking Agreement Template available in A4 and US letter sizes. 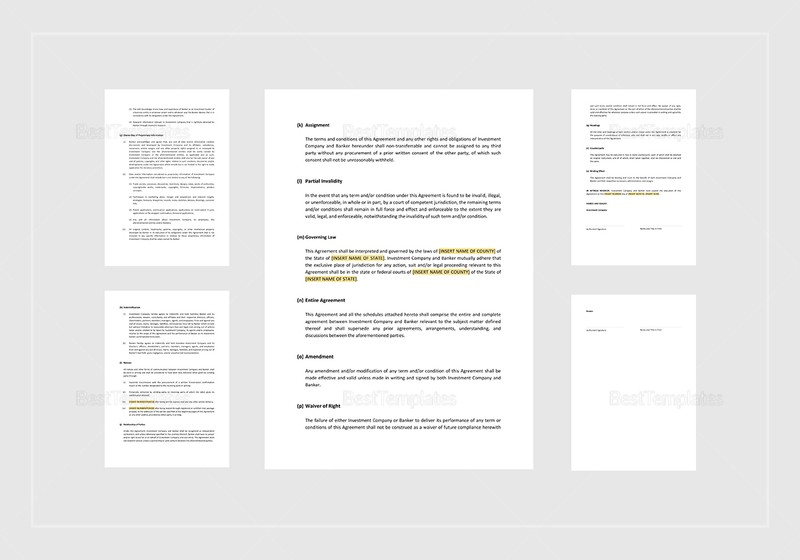 Use MS Word or Pages application to edit this 11-page document. 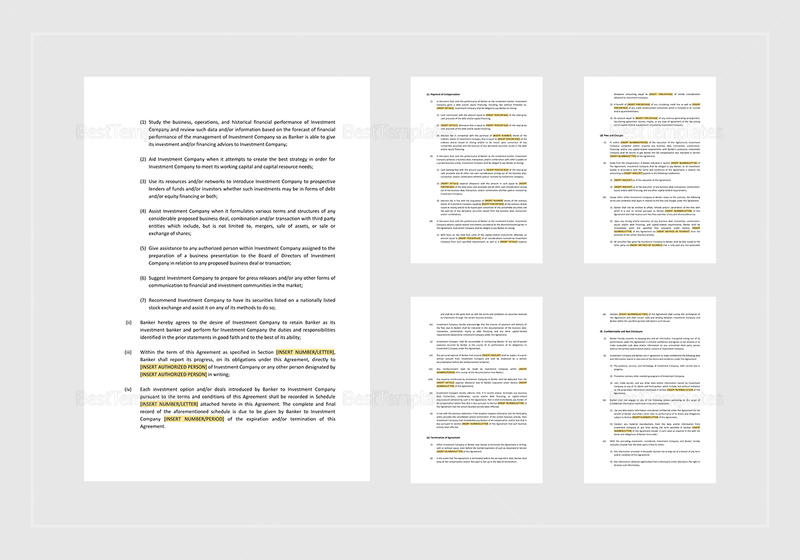 Simply replace the highlighted sections with your information. 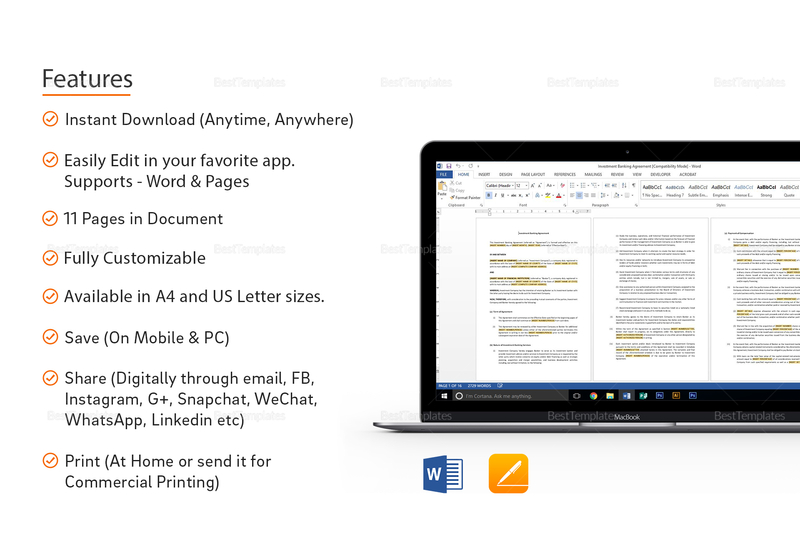 Print, review, and send through normal conventional means or through electronic mail.